Maths stations are a great way to create a learning environment where students are interacting somewhat independently and collaboratively with maths. During maths station teaching, students rotate around pre-planned math activities. 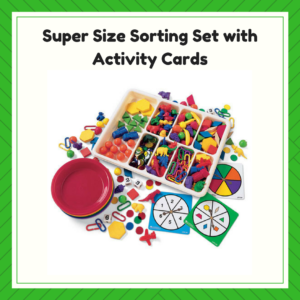 These activities promote practice of key math concepts that are being taught or need reinforcement. This set of maths games will allow you to run a whole class maths station lesson with all the children actively involved. Developed by an Irish school teacher. Each game is student friendly allowing independent stations not requiring constant teacher instruction. In station teaching, the teacher divides maths games into a station (a table). The teacher can move around the classroom or stay at a particular station; the other stations are run independently. · The students have the benefit of working in small groups. · The teachers can cover more material in a shorter period of time. · Fewer discipline problems occur because students are engaged in active, hands-on learning. · It is possible to separate students who need to work away from each other. · All students get access to teaching manipulatives even if they’re in short supply or are smaller pieces of equipment that are not as effective in whole class teaching.